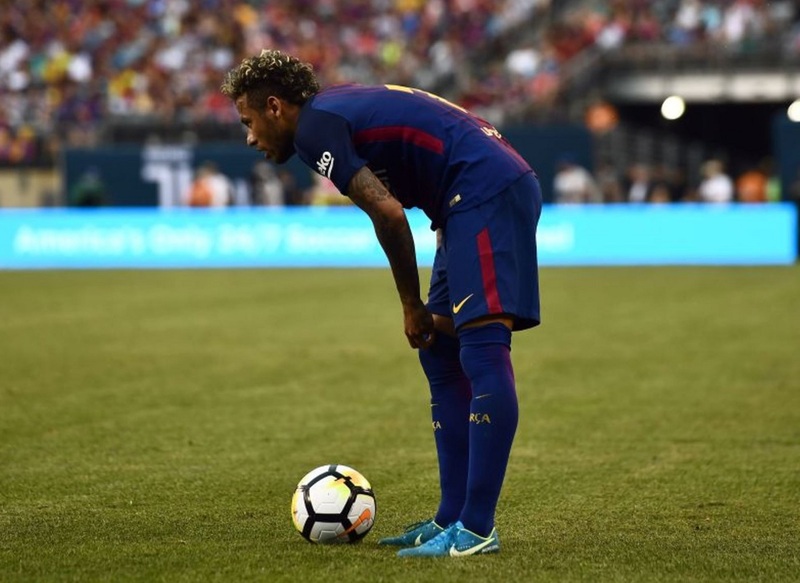 In case you missed it, Neymar put on an absolute clinic when Barcelona took on Juventus in Saturday’s international friendly match. For his second goal, he pretty much slalomed through the entire Juve defense before slotting the ball home past Buffon. 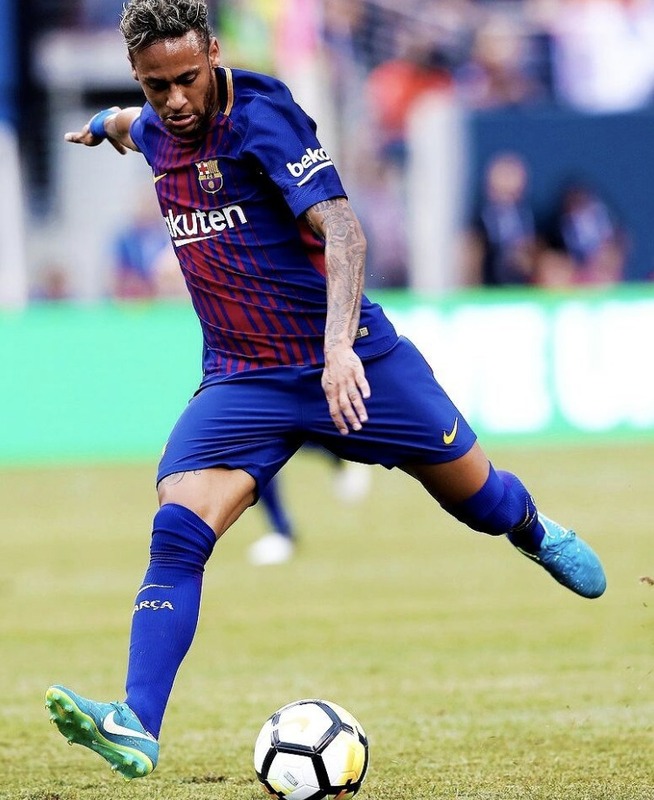 With all the transfer speculation and a potential move to PSG surrounding every news story about him, we have a very different approach to take as we look at his feet, and the upcoming signature boot that he was officially introducing on-pitch for the first time. 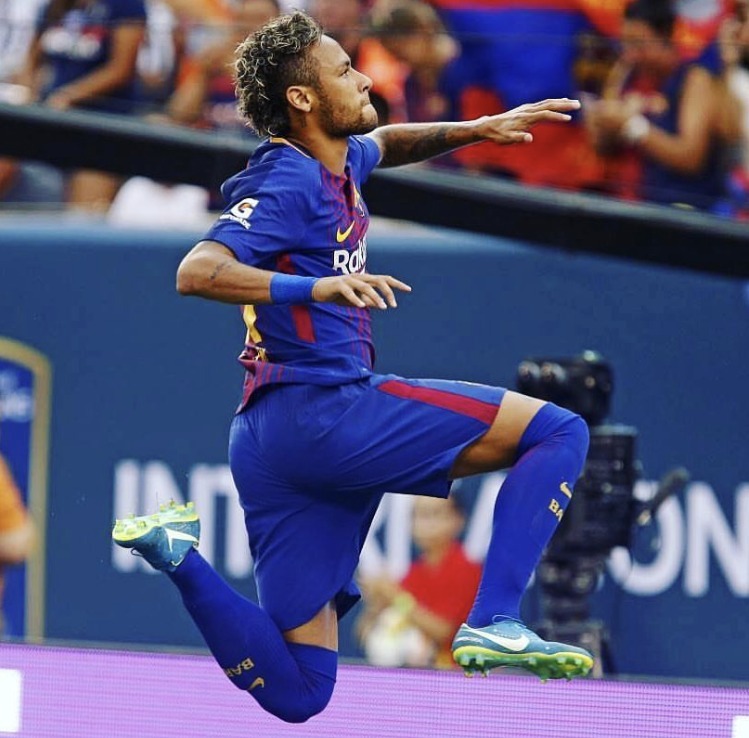 Yes, Neymar was wearing the upcoming Nike Vapor XI Neymar that is set for release later this week. This will be the first signature boot in the Mercurial series released for the Barca striker. It comes in a clean Brazilian Blue, with key detailing of Neymar’s career placed throughout the upper of the boot. We are going to hear a lot more about these boots this week. Stay tuned for complete details once they are officially released. Important to note here, if anything happens transfer wise with Neymar the release date could be dynamically changed. But for now, the boot is tentatively slated for release Thursday, July 27th. Once released, you will be able to find them at soccer.com.